Are you looking for a fee-based financial planner in Singapore? Look no further because you could be looking for a needle in the haystack! Fee-based financial planning in Singapore is rare. Few offer it. 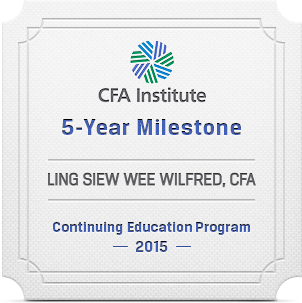 Wilfred Ling is one of the very few advisers in Singapore providing fee-based financial planning in Singapore. You will be surprised that anyone can call themselves Senior Financial Consultant, Wealth Manager or even Money Coach. The truth is there is no regulation stopping them from using such confusing labels. While financial advice on insurance and investments are regulated activities, regulation is only pertaining to one-one advice. Anyone can conduct a forex course to a class full of students and yet there is no regulatory oversight although advising on leveraged foreign currencies to an individual is regulated. Other financial planning matters such as budgeting to buy a house, drawing up a proper Will, dealing with a spendthrift child, advice on CPF and HDB rules, etc are all unregulated activities. The lack of regulation means anyone can do all these without any form of accreditation and qualification. This means consumers will be confused as to who they can trust. Confusion leads to risk aversion towards engaging a professional fee-based financial planner. 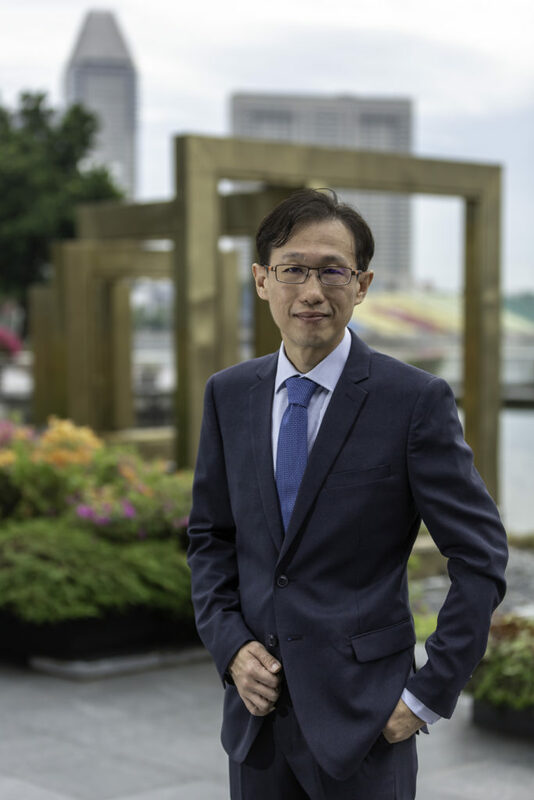 With no demand for professional fee-based financial planners due to such confusion, the number of such professionals offering fee-based financial planning in Singapore remains the minority. In 2012, Monetary Authority of Singapore found through an online survey that 80% of consumers in Singapore do not wish to pay for advice. In other words, consumers in Singapore want free advice. Naturally the supply of goods and services will cease to exist once the price is zero. That is why, the fee-based financial planning community in Singapore can be considered very small servicing the needs of the 20% who are willing to pay for advice. There are about 15,000 registered financial advisers in Singapore. Do they work for free? No, of course not. Many advisers and agents earn commissions. It is easier to sell a product that gives $10,000 in commissions than get the client to pay a fee of $500. Due to the ease of selling products with embedded commissions as compared to charging an upfront fee that is transparent and known, most registered financial advisers are product salespersons. It is this reason why most consumers have never met a professional financial planner before. By the way, free advice could cost you your entire HDB flat! According to a survey done by Russell Investments, less than 20% of Singaporeans have accessed professional financial advice on retirement plans despite longer life expectancy. “These findings are somewhat startling; they reflect the continued lack of awareness or the avoidance on the need for professional retirement planning and the implications of the increase in retirement age”. It is this reason of the lack of desire to seek professional advice that the demand for professional fee-based financial planner is low. Without demand, there is a low supply of professionals offering fee-based financial planning in Singapore. There were firms in Singapore which charged clients for advisory fees. One such firm was Ipac. Ipac was acquired by Axa in 2002. Ipac specialised in providing high-end, fee-based advice to wealthy individuals. Ipac never produced a profit for Axa for 10 years despite servicing high networth individuals who can easily afford to pay fee for advice. In 2012, Axa decided to close down Ipac with an estimated 92 employees. To date, ALL firms in Singapore takes commissions. One of the problems which cause quite a lot of confusion is the ‘fee structure’. Can you guess what the following fees are? Are these fees or commissions or both? To make matters worst, one firm advertised itself to be ‘fee-only’ because its advisory fee is based on a portion of the commissions earn! If that is the case, all insurance agents are ‘fee-only’ too! To me, fee-based financial planning means that the client has to pay for the advice regardless of product purchases. This is the same model as a doctor who will charge two kinds of fees – consultation (advice) and the cost of medication (product). Singapore is a financial hub. A large part of its economy is driven by the financial sector. Unfortunately many financial institutions are against charging fee. Great Eastern Life, Manulife, AIA, Prudential and all ‘independent financial advisory firms’ represented by the Association of Financial Advisers (Singapore) voiced their objections against fee-based financial planning in Singapore. Should you engage Wilfred Ling? Since 80% of consumers only want free advice and have never met a fee-based financial planner before, I provide an opportunity to all potential clients to know me through this website and my mailing list. Please sign up for my mailing list to receive regular financial planning articles at no cost. As for consultation charges, Fees & Charges. If you are keen to find out more, feel free to contact us at this link HERE. Why pay fee for advice when others provide free advice? There are generally two types of overheads: Direct and indirect expenses. Direct expenses are like utility bills, salary of administrative staff, IT support, licensing fee, professional indemnity, advertisement and rental. Indirect expenses are those which incur opportunity cost due to the long hours spent on it. Examples of indirect expenses will be CPD hours, product launch attendance and research. The time spent on these mean less time to meet clients and thus the lost of income. For other matters like professional courses and conferences incur both direct and indirect expenses. Some products pay outrageous commissions for little work done. This is unfair to the client afterall the client is the one who ultimately pays the commission. Many important areas of financial planning do not require purchase of product. Advisers will not be paid for helping clients plan for these areas. In the table below, it shows that commission-based adviser will push the client from Stage A to Stage B of the advisory process. That is to say that such an adviser will tend to push the client to purchase some products. On the other hand, a fee-based adviser will not push the client from Stage A to Stage B. The commission-based adviser focuses on product sale (since he is paid for sales) while a fee-based adviser focuses on the quality of his advice (since he is paid for advice). Which do you prefer? A salesman or an adviser? Imagine a doctor who cannot charge a consultation fee but could only earn through commissions selling medicine. Can you imagine the health hazard of being prescribed unnecessary drugs just because the doctor could only earn through commissions selling drugs? Similarly, the financial hazard of engaging a commission-based adviser could put your family and your retirement in jeopardy. A financial planner is a financial doctor. Only a person who is financially unwell is required to consult a financial planner. Others who are well would consult a financial planner to avoid future financial trouble through “preventing” advice. Free advice is going to cost you your entire HDB flat! Why financial advisers must abandon their clients? What is Comprehensive Financial Planning service? What is there to plan for Estate planning? The purpose of estate planning is to ensure the clients’ dependents receive the intended monies to assist them in their lively hood until they are financial independent. Second purpose is to ensure liabilities are paid on the demise of a borrower. Third purpose is to leave behind a legacy to the intended beneficiaries and to ensure unintended beneficiaries do not receive it. Finally but most importantly to ensure that the decease appoints a trusted Executors/Trustees for who will have the fiduciary duty to ensure the estate is managed and distributed for the interest of the beneficiaries. The tools used in Estate Planning are: Will, CPF Nomination, Revocable Trust, Irrevocable Trust and Portfolio Bonds. What is there to plan for Tax planning? Singapore’s tax law is quite straightforward. However, high income earner may not realize that there are attractive tax saving tools to reduce their tax liabilities. These tax saving tools are not automatic but has to be planned ahead. Some of these tools are Supplementary Retirement Scheme (SRS), CPF Minmum Sum Top-up, CPF Voluntary Contribution scheme and donation to Institutions of Public Character. Using CPF rules to save on taxes can be a complicated affair because CPF rules change almost on a yearly basis. Those who invest in foreign investments may like to know that they may be taxed by foreign government on their dividends. For example if the dividend yield is 3% and the tax rate is 30%, there is almost a tax expense of 1% per annum. Careful planning can be done to avoid this by investing in other jurisdiction for which there is no dividend tax. What is there to plan for Investment Planning? Both education planning (short time) and retirement planning (long-term) require some elements of investment planning. However, we treat the clients’ entire wealth (excluding personal use assets and residential home) as a single portfolio. We do not departmentalize into separate and isolated portfolios like “Retirement portfolio” or “Education planning” portfolio. Everything which the client has is part of that single portfolio. Therefore, we will taken into account of cash deposits, fixed deposits, single premium endowments, SRS balances, CPF Ordinary Account, Special Account, Medisave, funds, stocks, investment properties, as part of the entire portfolio. We will calculate what is the weighted average return of the existing portfolio. We will then recommend an asset allocation to achieve the desired weighted average return. Because the portfolio is not static, those who have sign up for our Retainer Service will expect us to assist in advising on how to rebalance this portfolio as and when it is needed. What is there to plan for Retirement planning? We use expense method to calculate the amount of retirement funding required for retirement planning. The first step is to determine today’s expenditure excluding mortgage, dependents’ cost and luxury. We project the expenditure at retirement based on an assumed inflation. Based on an assumed life expectancy and investment rate, the lump sum retirement funding is determined. If that lump sum is not available now (after discounting time value for money), we will recommend a monthly contribution to achieve that goal. What is there to plan for Education planning? If the client has children, this is the section which we plan for the amount required to save for the children’s tertiary education. The education planning method we use takes into account of time value for money by establishing the lump sum required now. If the lump sum required now is not available, we will recommend a monthly contribution to meet that goal. What is there to plan for Risk (protection / insurance) management? Under this section, a survivor needs analysis is performed to establish the required amount needed in the client’s estate to ensure his dependents are sufficiently provided for. The amount insurance required for death is established after taking into account of the client’s existing insurance, net asset but excluding personal use assets and residential home. In addition to the above, we will check to ensure the client has already insured himself for disability income, critical illness, health insurance, liabilities (mortgage) and long-term care insurance. What is there to plan for Credit management? The purpose of credit management is to identify affordability of taking up a loan (such as a mortgage) and the amount of downpayment that can be afforded from balance sheet point of view. Moreover, if the clients have numerous debts, we will need to convert all interest rates to effective interest rates and rank them from the highest to the lowest. This is to assist the client in paying off his debts in the most efficient manner. What is there to plan for cash flow and balance sheet? The purpose of establishing the client’s cash flow and balance sheet is to identify sources of income and expenditure. Moreover, minimum liquidity is required to meet unexpected emergency cash outflow. The balance sheet will tell us whether is there sufficient liquidity. If there is a large positive cash flow but the balance sheet do not reflect the high saving rate, we will have to identify where these surplus cash has gone to. Finally, we need to identify negative equity asset as there is a danger of margin call. All of the following planning relies on cash flow and balance sheet. Thus the cash flow statements and balance sheet represents the most fundamental items in a comprehensive financial plan.